Carol Covington Gerhart, 68, of Little Rock, passed away peacefully on her birthday, October 13, 2010, after a courageous, five month battle with brain cancer. Carol was a loving, proud and beloved wife, mother, grandmother, daughter, sister and friend. She is survived by her husband of 47 years, John Thomas (Jack) Gerhart; her two sons and daughters-in-law and four grandchildren: Mr. and Mrs. John Thomas Gerhart Jr., and their children Claudia Cordell and Mary Catherine Covington Gerhart of Dallas and Mr. and Mrs. Brent Covington Gerhart, and their children Grace Helen and Charles Covington Gerhart of Memphis; her mother, Mrs. Ralph K. Covington (“Great Mimi”) of Little Rock; her brother and sister-in-law, Ken and Linda Covington of Houston and their five children, Carol’s nephews and niece. She is predeceased by her dear father, Ralph K. Covington of Little Rock. Carol was a loving and devoted mother to her two sons. She created fond childhood memories of times at the lake, playing cards and lots of time at tennis, basketball and Catholic High events. Carol was a doting daughter to her parents and a constant presence in their lives. She was known as “Mimi”- a loving Grandmother that created an everlasting legacy with her granddaughters and grandson. She expressed great pride and joy in both her sons and their families and cherished each of her four grandchildren. Mimi enjoyed the simple moments of reading bedtime stories, playing adventures and “making memories” with her four grandchildren. 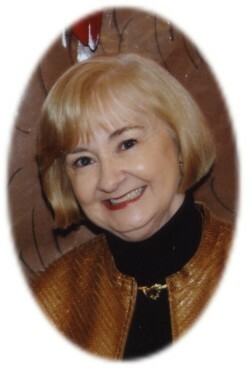 Carol was an accomplished pianist and enjoyed entertaining her grandchildren with Christmas carols. Carol possessed a strong faith and spirituality and was a long-time, active member of Christ the King Catholic Church in Little Rock. She participated in bible studies and grew up in the Pulaski Heights United Methodist Church, where her parents were active members. She was involved in the Catholic schools her sons attended, and was an active bridge and tennis player for many years. Carol was born in Little Rock, and was a life-	long Arkansas resident. She graduated from the University of Arkansas at Little Rock, where she was a charter member of the Gamma Zeta Chapter of Chi-Omega sorority. The family wishes to express their sincere gratitude to Dr. Laura Hutchins and her entire staff for their attentive, comprehensive and caring medical care. Visitation will be from 5:00 p.m. to 7:00 p.m. on Thursday, October 14, 2010, at Roller-Chenal Funeral Home at 13801 Chenal Parkway in Little Rock, (501)224-8300. A Rosary Service will follow the visitation. A Mass of Christian Burial will be held at 10:30 a.m., Friday, October 15, 2010, at Christ The King Catholic Church. The celebrants will include Monsignor Francis I. Malone and Deacon John Marschewski. Entombment will be at Pinecrest Memorial Park Mausoleum. Memorials may be made to the Arkansas Cancer Research Center, Rockefeller Cancer Institute, 4301 W. Markham, Slot #623F, Little Rock, Arkansas 72205.